We would like to sincerely thank our sponsors, without them Brothers Aston Villa Football Club would not be as strong as it is today. Their continued support ensures our members are able to participate in this great sport with all the necessary facilities and equipment available. Any person or business interested in becoming a sponsor of our wonderful club can contact Kayleen Bryan on 0400 125 812. 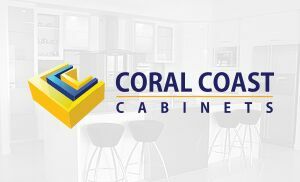 We would like our prospective sponsors to be aware that our Division One Men’s Team currently has an existing sponsorship agreement in place with Coral Coast Cabinets. While you are welcome to become a major sponsor for another team, advertising opportunities will be reduced, as media coverage is limited for teams outside of this competition. 4 Free tickets to all functions held as a club. 4 Free tickets to Brothers Aston Villa Football Club Annual Senior Presentation night. Prominent logo placement on front premier division team playing strip .The strip will be worn once a week during the playing season. Prominent logo placement on premier division warm up strips. Premier division receives media coverage from Channel 7 Local News and the News-Mail. Sponsor signage of your business on premier division dress shirts. Club advertising with your logo (Club website, e-mail newsletters, printed newsletters). Your company logo displayed as major sponsor in all Brothers Aston Villa Football Club advertising and on the Clubs opening page on the website. Sponsor logo and the opportunity to advertise via the Brothers Aston Villa Football Club Facebook page. Brothers Aston Villa Football Club dress shirt, jacket and cap. Other benefits as negotiated to suit your business requirements. Designed for sponsors of Senior teams. 2 Free tickets to all functions held as a club. 2 Free tickets to Brothers Aston Villa Football Club Annual Senior Presentation night. Prominent logo placement on your choice any Senior team’s playing strip (Division 2, or 3 Men’s teams or Division 1 and 2 Women’s teams). The strip will be worn once a week during the playing season. Brothers Aston Villa Football Club dress shirt and club cap. Designed for sponsors of competition teams (age groups 12-16 years). 2 Free tickets to Brothers Aston Villa Junior presentation night. Prominent logo placement on your choice of Junior competition team playing strip. Designed for Miniroos teams (age groups under 6 – under 11) sponsors. 2 Free tickets to the Brothers Aston Villa Junior presentation night. Prominent logo placement on your choice of Miniroos team playing strip. Sponsor a goal keeper’s shirt. Ideal for small business, or to support your child’s team. Your logo on the Goalkeeper’s jersey, for your nominated team/s. Cost: $150 per jersey. You are welcome to specify the amount of shirts you would like to provide our club. All sponsorship proposals are based on a negotiable three (3) year term in order to create the most beneficial relationship between your business and our club. We are happy to discuss these opportunities with you and customise your sponsorship arrangement to suit your business requirements. Thank you for taking the time to consider our sponsorship opportunities.